Recharge your batteries with this playlist! Can you hear your couch calling for you after an exhausting day? Overcoming classic after work fatigue is easy! 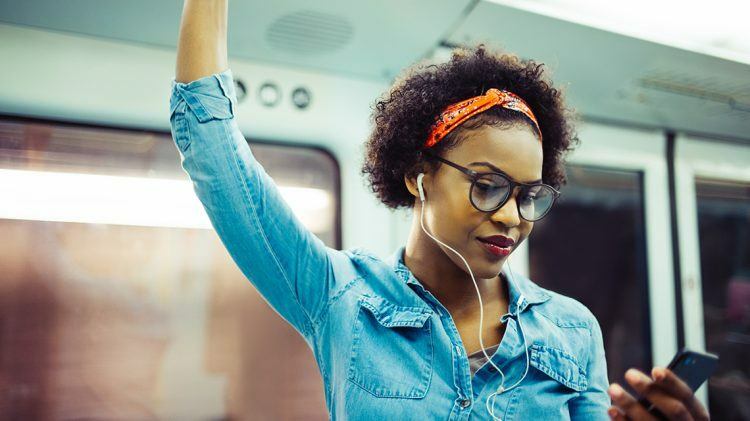 On your way home tune in to our after work playlist to recharge your batteries for a little workout or a meet up with friends! A classic electro-pop song, an irresistible mood changer that will get your feet moving and your shoulders wiggle. We promise: It’s automatic! It’s easy to fall in love with the sweet little guitar tunes topped up with a beachy house beat. You can just tell it’s music made in sunny Australia! Neither of the artists are newcomers but the sound of their collaboration is somehow fresh. Classic Tame Impala tunes dipped in an EDM pool. The man behind the unconventional artist name picks up Jazz, R’n’B and Funk super smoothly. Danceable and refreshing tunes from Cali! The trumpets in “Am I Wrong” can’t be wrong! Beyonce’s little sister unlocked her closet when she released her 3rd album “True” in 2012. “Locked in Closets” is a soulful voice melding into an easy beat. “Thunder” and “Believer” went through the roof hitting the top ranks of the charts in 2017. “I’ll Make it Up to You” from the same album is calm but enthusiastic as it is about second chances. Diana knew how to burn down the dancefloor, as “Upside Down” gets you up anytime, doesn’t it? Straight from the 80’s, these funky tunes make you forget about your couch! If you didn’t lose it by the last track, Daft Punk will get you off the chair. There’s nothing more to add than “Lose Yourself to Dance”! The indietronic band from New York convinces us with their unique guitar riffs paired with a solid bass and a clear beat. Rrrgghhaa! Never leave out classy Rihanna on a motivational playlist, right?! In 2012, she teamed up with rapper Future to produce a reeeeeeeal love song. Deep and danceable! Can you feel the energy hitting your body yet? Turn up the volume and sing along as you ride your bike, go for a run or just start a cooking session. This song is about leaving the city and being off the grid. It will make you want to switch off your phone and escape the hustle of the day. Caution! High possibility of craving for summer and dreaming of long days at the beach! The Crystal Fighters will make you want to plan your vacation immediately. So, what are you waiting for? Major Lazer is typically known for a pumping rhythm and a blasting bass. However, “Get Free” is somewhat exceptional. Dirty Projectors’ singer Amber Coffman lent the song her soft voice turning it into a thoughtful pop song.